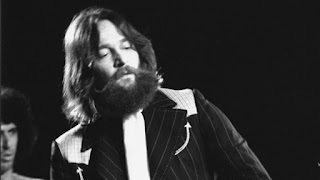 Released in November 1971, Gene Clark's solo LP White Light is an encapsulated moment where Clark as well as producer and friend Jesse Ed Davis found the perfect blend of Clark's weighty baritone voice combined with a highlighted minimalist instrumentation; allowing for the deep lyrical content and breezy vocal melodies to shine through. Earthy and honest, the original recording is a tastefully organic array of Clark's songwriting and vocal abilities.The album like much of Clark's career is severely under appreciated, but to those aware of its delicate beauty, it is a collection of songs that can change the listeners way of thinking about the human realities of life. These songs came from Clark during a period of rebirth, when the melodies poured from him, like clean spring water from a crystalline decanter. Lyrical tales, white undriven snow wind blown across open land, free of impurities, light and airy. Always slightly ahead of the curve, White Light followed Clark's two perfect albums of country-rock experiments with Doug Dilliard, which true to form Clark left behind to head in the direction of another compass point. Similarly to his leaving the Byrds, Clark the intrepid traveler was always scanning the horizon for more. 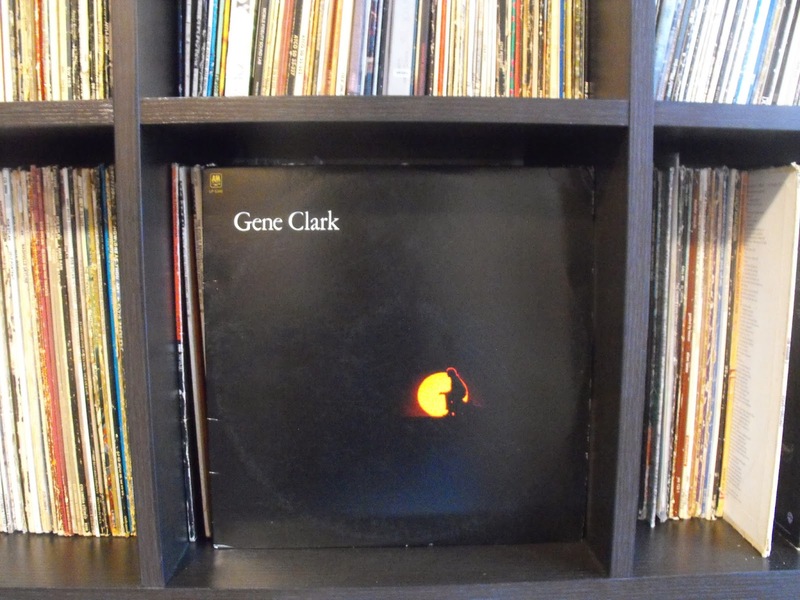 Spinning in the 'rock room' today is a collection that appeared in late 2013 gathering Gene Clark's home demo recordings from the period leading up to the recording of White Light. 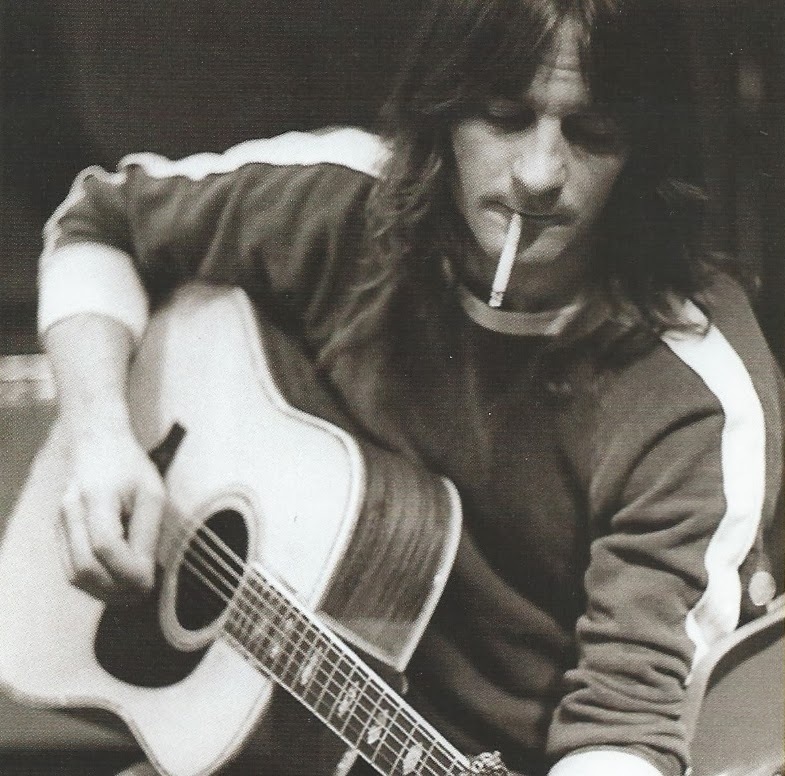 The compact disc Gene Clark-Here Tonight-The White Light Demos is an affectionate compilation of Clark his acoustic and often a harmonica developing his compositions, pulling then from air and translating then to tape. The set also features three songs that have not appeared anywhere before this collection. These recordings were recently discovered in a tape vault, long thought lost, the original ideas developed by Clark in his workshop cabin in Mendocino, California. Listening to these solo recordings the essential elements of Clark's melodic prowess and the fundamental foundation of his art is on display in all its raw glory. This is the troubled solo troubadour, finally at ease, creating at will and without a deadline and tapping into the flowing energy of the muse.Clark, the greatest songwriter you've never heard of and author of the most beautiful minor key ballads you have ever heard. After the opening 'White Light' acoustic guitar and harmonica version that opens the collection like the original LP, the first major revelation appears. 'Here Tonight' originally recorded by the Flying Burrito Brothers with assistance from Clark, surfaces here with a swaying strum, buoyant, intimate and uncluttered. Every crevasse and recess delicately explored, every breath and hum of throat captured. 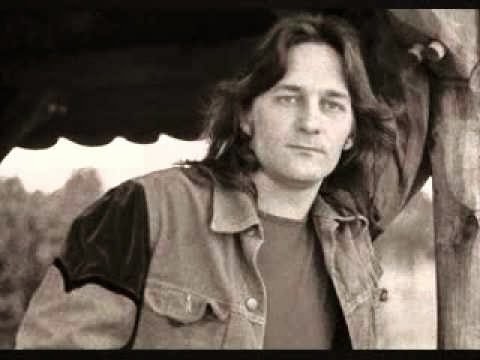 If the previous song was a revelation, the next is an epiphany, 'For No One' is an unreleased jewel, a weightless circular acoustic finger picked melody line carries with it, some the most mournful harp interludes I've ever had the pleasure to hear Gene blow. His voice enters, a light fragile china, a misty specter of loneliness, quaking with a shaky falsetto. The minimal and concise lyrics elicit powerful images intensified by the ghostly accompaniment. An amazing find, a legendary piece of music. What has been reported as Bob Dylan's favorite piece of Gene Clark music, 'For A Spanish Guitar' follow next, one of Clark's most regal and endearing melodies. This version like the entirety of the release takes on a magnified aptitude through the 'in the room' ambiance. A darkened room, some headphones and time to kill is needed for the weightiness of this track. This is not casual listening music. Worthy of note is the thick maple syrup of Clark's harmonica prowess. His playing is showed a more direct spotlight on this release and is an absolute joy to hear! 'Please Mr. Freud' is another discovered song and reflects a heavy Dylan influence both rhythmically and in attitude. The liner notes for the release attribute the lyrical content to Clark's deep interest in exploring humanity, religion and alternative ways off viewing the world around him. The tune's lyrical melody is brimming with flashing imagery, echoed in between verses by gentle harmonica. The reason for its remaining unreleased is unknown, but maybe its Dylan influence was too much for Clark? We will never know. 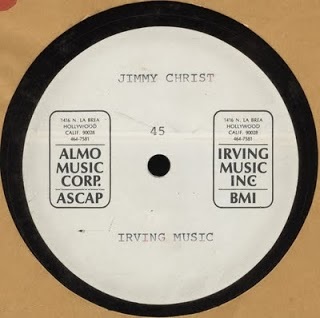 'Jimmy Christ' follows and is the final 'discovered' song on the collection, the above photo is of a publishing acetate donated for the CD by Whin Oppice. What I find interesting is that song was cut to acetate, and never used for any released as far as I know. The short guitar harmonica ditty contains some heavy lyrical content, with Clark wondering aloud who can really feel the pain of another, can the narrator relate his pain to anyone or anything in the world? How can we relate to Jesus? The unreleased and unheard songs disposed of, a folky version of 'Where My Love Lies Asleep' with a rolling tempo differing from the released version and a naked interpretation of 'The Virgin' follow. 'The Virgin' is missing its central Davis guitar riff but still retains its vivacious groove centered around its central vocal melody. The following 'Opening Day' and 'Winter In' were both unreleased until their appearance as bonus tracks on the remastered version of White Light. 'Opening Day' is a bright song that rises like a early morning view of the sun, while questioning time as it hangs against gravity like the pendulum of an ancient clock. Clark's strumming unusually excitable and bright a contrast to the surrounding numbers. 'Winter In' is a song made from the inspiration of its creation, a song that apprehends a moment and paints it across time like a brush to canvass. The tune collects discard moments like scattered photographs and collates them into shared experience. Another song that leaves me wondering the reasoning for its eventual disappearance from the running for the record. 'Because Of You' is very similar to the released version, obviously lacking the album overdubs and production techniques. Not to be redundant, but the songs melodic strength is similarly to previous songs increased by the intimacy of the demo recording. 'With Tomorrow' concludes the set, the track a writing collaboration between Clark and Jesse Ed Davis, this version a brief song sketch only light pencil marks left quickly on a note pad for remembrance. The song a fitting end to the collected works that make up the set. Clark's schematics for his continuing musical direction, in many ways more definitive than the final products themselves. If you do not already own White Light do not pass go until you are the proud owner of the album. After digesting it and letting its soulful living lines seep into the fabric of your musical life, search out the collection discussed above. Similarly to John Lennon's home recordings, or Pete Townsend's available demo recordings, Clark's song sketches offer a peek through the keyhole, pulling back the shades to reveal the heart of inspiration for the songwriter. For the duration of the listening experience Clark is in your room, the music wrapping its metaphorical arms around your ears and heart. Correction. All of the songs including Jimmy Christ on "Here Tonight" came from a DAT tape found in the vaults. Omnivore Recordings with permission used the photo of the Jimmy Christ label from the publishers demo in my collection. The two songs are identical. What fine review. TY Stephen. Enjoid reading. Thanks Whin for the upgarde.